The origin of Goan emigration can be traced from the time of the French Revolution, writes J. B. Pinto, whose modest through early book has been a widely quoted one on the subject. 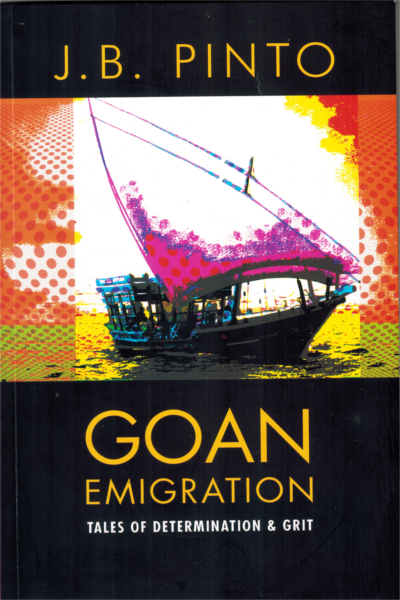 The origin of Goan emigration can be traced from the time of the French Revolution, writes J. B. Pinto, whose modest through early book has been a widely quoted one on the subject. In this now-reprinted work, Pinto points out that in 1799, the then British Indian Government had stationed their naval fleet in Goa against a projected attack on their Indian Possessions by the French. It was rumored at that time that Tippu Sultan had invited the French to drive out the British from the Indian soil by way of Goa. “This occasioned a windfall to the Goans in Goa to supply the requirements of thousands of British naval personnel, who found the Goans, i.e. the Christians, just the sort of people they wanted to work for them owing to the mode of their dress, food, drinks, social customs, etc, which they could not find in the whole of the Indian sub-continent, with the result that Goans, of the other races in India, become their best source of supply and demand,” he adds. Thus, Goan cooks, butlers, pantry boys, dhobis, bakers, tailers, shoemakers, musicians, clerks, ayahs etc, were given exclusive monopolies throughout the length and breadth of the undivided India. Thus began the start of Goan emigration.